Change things up with a short trip to Hoover Dam in Boulder City (about 50 minutes away). 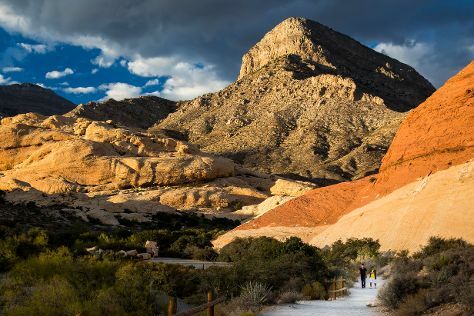 Next up on the itinerary: take in breathtaking views at Red Rock Canyon National Conservation Area, push the limits with an extreme tour, ponder the design of Bellagio Fountains, and take in panoramic vistas at Eiffel Tower Viewing Deck. To find more things to do, traveler tips, where to stay, and tourist information, you can read our Las Vegas trip builder tool . In July, daily temperatures in Las Vegas can reach 104°F, while at night they dip to 81°F. Finish your sightseeing early on the 5th (Fri) to allow enough time to travel back home.